Unions need to adapt to the changing profile of the labour force, said Deputy Prime Minister Teo Chee Hean at the May Day dinner on Sunday night. The citizen workforce is ageing rapidly and will start to shrink this decade. It is also becoming better-educated. By 2020, half of each cohort of students will go to public universities. By 2030, two in three working Singaporeans will be a professional, manager, executive or technician (PMET), compared with one in two today, Mr Teo said. Unions will have to evolve to better cater to the new needs of this changing workforce, he said to 1,600 unionists and guests at the Orchid Country Club. The challenge for Singapore is to keep creating good, new jobs because otherwise, "younger and better-educated Singaporeans may leave in search of better opportunities in more exciting cities", Mr Teo warned. "And this would hollow out our population and workforce further." The global economy is also a concern, with the advanced countries mired in difficulties. As a small open economy, Singapore's growth and ability to generate jobs depend on such external factors. Mr Teo spelt out the areas where unions need to change as Singapore's economy restructures. Three in four union members today are rank-and-file workers. Unions have to work with firms to prepare these workers for change, so that they can "benefit from our economy's transformation towards quality growth". 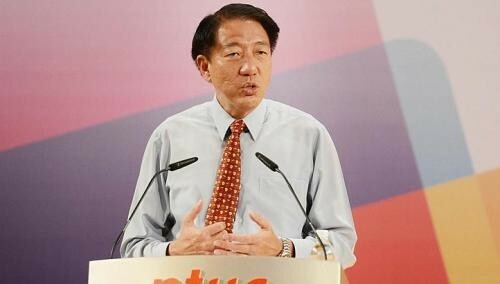 Unions also have to address the needs of PMEs, some of whom want greater workplace representation, Mr Teo said. While the law allows executives to form their own unions, it does not allow unions that represent rank-and-file workers to also represent executives collectively, so as to avoid conflict of interests. Mr Teo disclosed that a committee comprising unionists, government officials and employers has been studying how unions can better represent white-collar workers while giving firms the flexibility to manage their workforce. "The Government looks forward to receiving their joint proposal." Mr Teo also urged unions to do more to encourage companies to hire older workers, including tapping on government subsidies to redesign jobs. More of these older workers are also likely to be on contract or part-time work. Unions have to work with businesses to see how best to protect the interests of these workers. Among the unionists who agreed with Mr Teo was Ms Calista Geraldine Roch, 48, who heads the union branch at United World College South-East Asia at Dover Road. She said: "Going forward, the significance of the labour movement for the rank-and-file workers is fading as more and more workers become PMEs." But unions do not need to wait for external pressure to change, said Mr Nakalingam Silva. The 62-year-old, who retired as the president of the Union of Security Employees this year, said his union launched its own drive to make security officers more professional. It has seen membership double from about 6,000 in 2005 to 12,000 today. Ms Roch and Mr Silva were among 93 individuals and firms who received May Day honours conferred by the National Trades Union Congress last night for their contributions to the labour movement. The top award handed out this year was the Distinguished Service Award given to NTUC Income chairman Ng Kee Choe. Other award winners included Mr Bob Tan, co-chairman of fair employment watchdog Tripartite Alliance of Fair Employment Practices and member of the NTUC Club management council, and former Member of Parliament Sin Boon Ann, who is an adviser to the Union of Power and Gas Employees. Besides the annual rally on May 1, NTUC has lined up activities such as a foreign workers talent show and workers' family day to mark Labour Day.